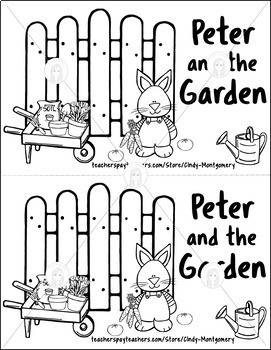 Peter and the Garden is such a cute book and a great addition to a Spring or Easter unit. 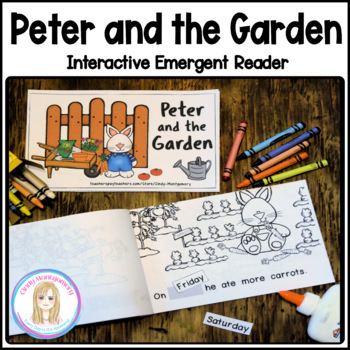 Peter and the Garden is an interactive, blackline book in which the learner completes each line of text with a day of the week. 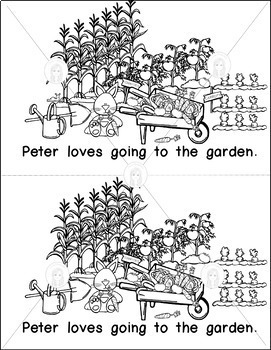 After the story is read, two differentiated Comprehension Checks are provided. It's the perfect activity to work on sequencing days of the week as well. 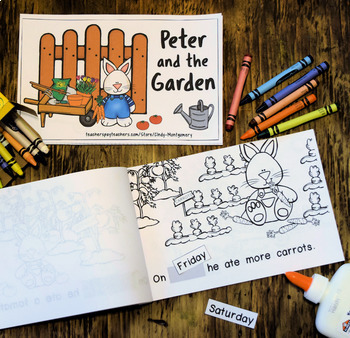 In addition to the story and the Comprehension Checks, Peter and the Garden also contains lists of the Days of the Week and Sight Words. On the last page of the book, the days of the week are provided for the learner to cut and glue into their book. One or both Comprehension Checks can be used since they are different. To use the first one, have the learner color or circle the correct answer to the question. The learner fills in the correct day(s) of the week on the second Check. *See thumbnails and Preview for further clarification. You can Follow Me @ TpT, on fb or join my Email List at my blog, Every Day is the Weekend. If you join the Email List make sure you click TEACHER or SCHOOL STUFF ONLY. Hurry! You don’t want to miss a thing and if you join the Email List you’ll get a FREE instant download! Win-win!